The MOD-6TE module allows you to measure the temperature with attached popular sensor Pt100, Pt500, Pt1000, Ni100, KTY81-110, NTC (Carel) and thermocouple (type J, K, T, N, S, R, B). 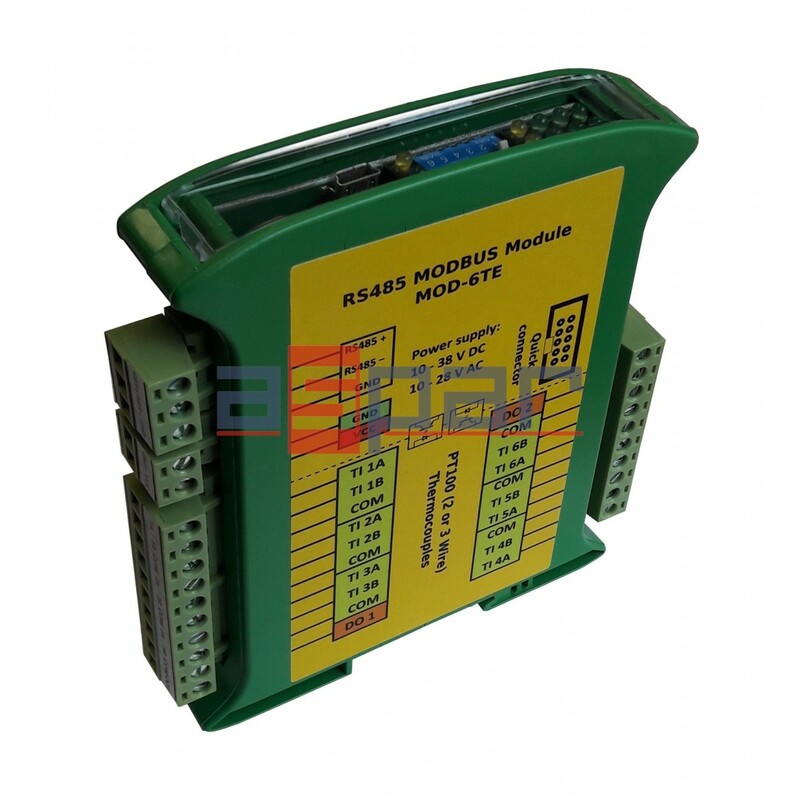 In addition, it is possible to measure voltages in the range 256mV (10μV resolution) and to 2048mV (100μV resolution) as well as the measurement of resistance to 8kΩ. 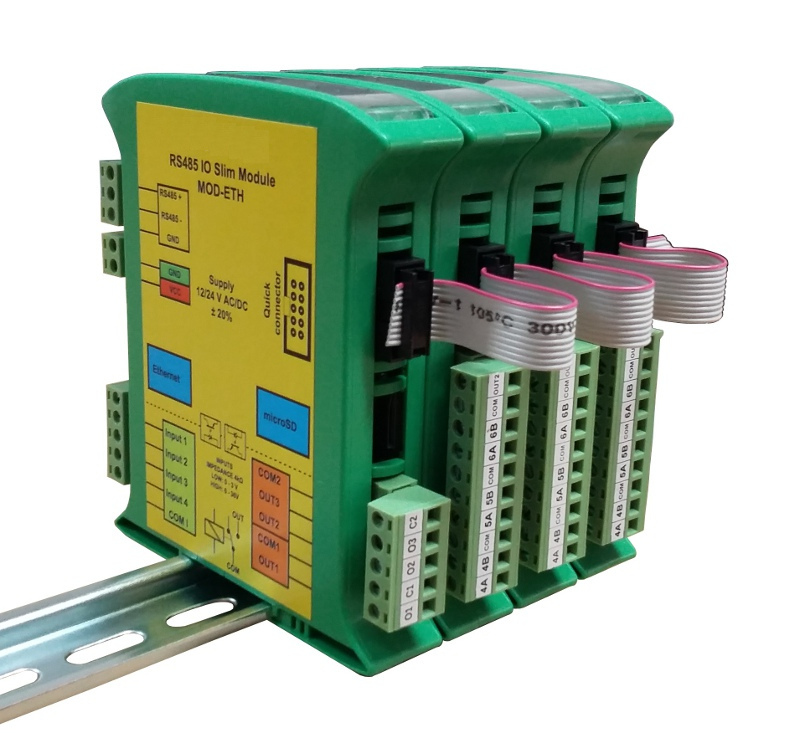 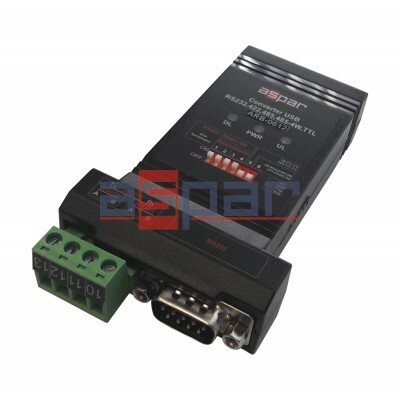 The module MOD-6TE communicates with all commercially available PLCs and other devices that support popular Modbus Master protocol.